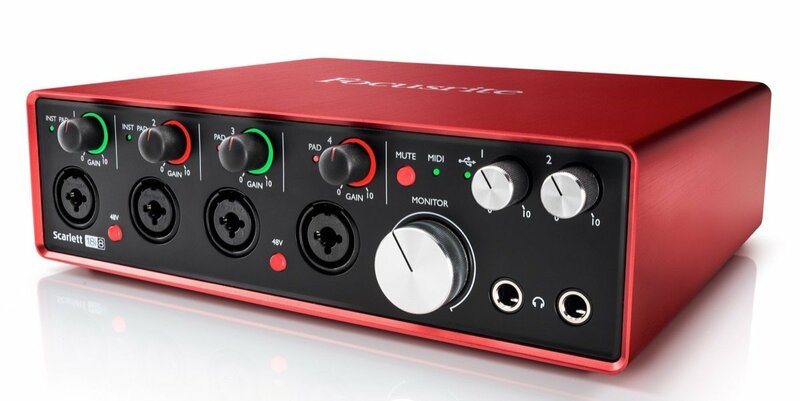 Focusrite's latest generation 18-in, 8-out USB interface is ideal for multi-instrumentalists, producers and small bands who want to record audio from a wide range of sources such as drums, guitars, keyboards and vocals. It's their most comprehensive desktop interface, giving you four mic preamps, round-trip latency as low as 2.74ms*, class-leading sound quality, and two separate headphone outputs, so you can give different monitoring settings to two artists, or an engineer and artist. It's also expandable over ADAT.